Acreage Fences is both a retail and wholesale fence and railing contractor that focuses on residential, commercial, and farm projects. 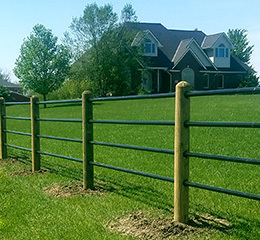 While servicing eastern Nebraska and western Iowa Over the past 28 years, Acreage Fences has built a strong reputation as a premier, customer-centric vinyl and aluminum fencing professional. Acreage Fences is an Authorized Independent Dealer of Country Estate fence, a nation-wide leader of manufactured superior-strength PVC fence. 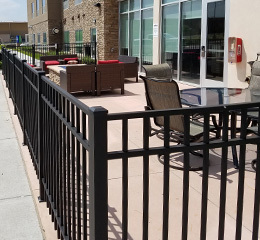 This long-standing Dealership allows Acreage Fences to offer all of its customers – wholesale and retail – value-added solutions including short lead-times and custom-configured fences, railings and gates, all from its facility located in Omaha Nebraska. We are proud to serve our clients and exceed expectations! I couldn’t be more happy with the service that Acreage Fences provided. I’ve worked with them multiple times on a variety of projects, some simple and others very challenging – they always come through with a superior finished product and fantastic customer support. They are the premier provider of choice in the Omaha area. Honestly a pleasure working with this company. The sales experience was pleasant and VERY informative, where others just tried to get the sale as fast as possible Acreage spent time with us helping us understand pros and cons of various features. The install was prompt, fast, and well done. Would definitely recommend this company. Acreage Fences installed our aluminum fence and did an excellent job! They were timely, high quality, tons of options and priced super competitive. The owner and crew were SOOO nice too. I recommend them 110%! Prompt and professional. Did the job right the first time. I had Acreage Fence install approximately 850′ of white PVC fencing at our acreage. Their price was very competitive and the fence was expertly installed by Carl. I could not have expected a greater job. I will have them back next year to add more fencing. I have already recommended them to a friend. We have used Acreage Fence on three separate projects to date. Always felt that we received the best deal from Acreage Fence. The work was done as I requested. It was done in less than a week start to finish. The company showed up two weeks early than promised. Happy with the finished product. Excellent, honest service. We needed to replace a chain link fence at our home, and Acreage came in with a competitive bid with an amazing warranty! They are honest and do excellent work. Best of the best! We are retrofitting an 18 year old fence because of a new dog! The staff at Acreage Fence was super helpful and eager to make sure we ordered exactly what we needed. We will look for ways to use other services they offer in the future. Pre-estimated work performed in a professional and timely manner. Third time repeat customer. Wonderful craftsmanship and unmatched customer service. I highly recommend. 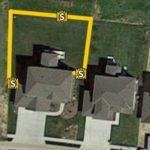 I have used Acreage Fences on two projects and highly recommend them. Having an old house I have used many different contractors and they have been the only one who “did it right the first time”. The crew was friendly, cleaned up well and the price was very reasonable. We are very satisfied with our fence. Our needs were unique. Acreage Fences worked with us to customize our project at an affordable price. When street widening construction is completed in West Omaha , we will need and seek the expertise of Acreage Fences, Inc. once again. Thanks! Acreage Fences did an excellent job at a reasonable price, and everyone I spoke with during the planning process was knowledgeable and professional. We are very pleased with the quality of service we received. If you want outstanding personal service from a family owned and operated business, choose Acreage Fences. They recently built an absolutely beautiful 200′ long, 6 ‘ tall privacy fence on our property that is a perfect backdrop for my perennial gardens, and is “giving us our yard back” after losing rows of Scots pines. Tom was very professional ,and the quote and time frame he gave us was excellent. Terry was our installer, he was very professional and thorough, very nice man. After all of the many contacts I asked from, only Acreage Fences was the best by far. I highly recommend them. They listened to exactly what we wanted and removed the old fence quickly and put in the new fence. They kept in contact with us to make sure everything was done as specified. Everyone in the neighborhood likes the new fence. I would strongly recommend this company. Very pleased with both the vinyl gate and fence, and aluminum fence installed. Quality materials and installation. I would definitely use them again. I’ve had 2 fences built by Acreage and my second fence fixed twice! The customer service and quality of my fences are top notch! I would recommend Acreage fences (and I have) to anyone in need of a quality fence! We had our fence installed & built by Acreage Fences & came back to have a pergola built from the same fence material & color. We love it & it is exactly what we wanted. I would recommend them to anyone! They do quality work & get you taken care of in a timely manner. Acreage Fences delivered! Not only do they have great products, but the sales and installation teams are second to none. Thank you, Acreage Fences! They did amazing work! Our home in Old Towne Bellevue looks better than ever with our vinyl white fence. Acreage Fences are wonderful and friendly people. They did a great job on my fence and re-hanging my gates. Loved working with Acreage Fence. They are professional, on time & keep you informed on the project as it goes. Reliable & reputable to work with. Acreage Fences installed a new railing for the front steps of our house. The railing turned out great and was done very good. They had good suggestions on the selection and install. Honest, professional, and amazing work! Outstanding customer service and an outstanding fence. Would recommend them to anyone! 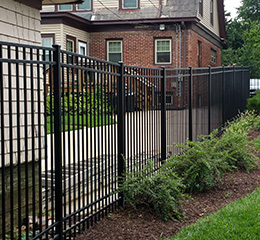 We had a great experience with this company, when we needed a fence in our backyard. We would definitely recommend them to a friend. Extremely professional. They arrived on time for their appointments and got the job done quickly and professionally. Great folks to work with. Highly recommend! We recently had Acreage Fences install a beautiful vinyl fence in our backyard. The service we received from the time of consultation to installation was outstanding. Acreage Fences provides a superior product and expert installation. Great local company that takes care of their customers! From day 1, the people at Acreage Fences treated me as a valued customer! Great product, installation and people! Thanks to all at Acreage Fences for our great fence! Acreage Fence was the best! I will definitely call them for future work. Installation moved along on schedule. Cleaned up everything when job was complete. Fence looks terrific! We are very pleased with the job they did. We just had an old chain link fence torn out and a lovely new vinyl fence installed. I was thrilled with the service from Acreage Fences. Everything from the estimate to the installation was professional and courteous. We’re thrilled with the final result and have already received compliments from several neighbors. Thank you! Our fence is BEAUTIFUL!!! We absolutely love it! I recently had Acreage Fences install a fence around my property and I can’t say enough good things about how professional and great they were to work with. Product quality is great as well as with their installation. Great company, highly recommend! I have had Acreage Fences install a fence around our yard and the work was done very professionally and the quality was excellent. I have refereed them to all of our friends. This is a great fence company they do great work fast! Acreage Fences, Inc. did a beautiful job of installing our fence. They were prompt, professional and courteous. Their prices were very competitive. We would highly recommend them for your fencing needs. Very easy to work with both in person and on the phone. Timely, efficient and professional. Great quality, price and customer service! Fence was exactly what we wanted. They were very prompt and professional. Price was also better than competitors. A++ in my book! Awesome experience, very professional! We love our new fence and no more maintenance like our old wood fence required! We’ve had Acreage install 2 fences for us, and they’ve been up front, flexible, and punctual for both. First class service and quality work. I would highly recommend. Our second fence with them. Great company, prices, selection, and people. I highly recommend them. Quickly and professionally installed my fence. Love it. We’re very happy with the work Acreage Fences has done for us. The picket fences still look brand new after 5 years. The neighbors have one from another company that bows and looks wavy after 3 years. Quality and workers that know what they’re doing counts. Acreage was very easy to deal with and I love my new fence! I am planning on having them install another portion of the fence this spring. Very happy with the results! From beginning to end, everyone I communicated with, were professional and courteous. We went with a white and grey panel fence and it turned out perfect. I highly recommend. Thank you. I recently used Acreage Fences to do a job at my office building. They were easy to work with made great suggestions and did the work in the specified time. I highly recommend their services. 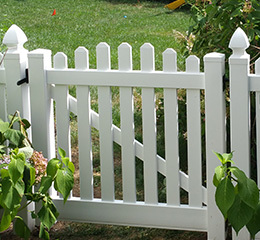 They offer a vast variety of options for your fencing needs. I’d use them again. It was truly a great experience working with Acreage Fences. They did what they said, were always on time and did a great job. I would recommend them highly if you are considering a fence. I have turned to Acreage Fence a number of times in the last few years for both electrified fencing for our farm but for a sturdy decorative fence for the house in town. I’ve been very satisfied with the end product. Watching them install both you understand how precise they are during the work. No wasted effort or time. There are other companies out there that do similar work, however none have the experience and expertise that Acreage Fence brings to every job. The work was completed on schedule and according to the contract. The staff we spoke to were professional and considerate in all matters. The finished product looks great! Thank you! We love the fence! It is amazing. We love it and I’m amazed they got it done in 1 day. The crew was friendly and respectful too. Love the fence! It looks spectacular, and the neighbors think it’s a great addition to the yard! My dad was very impressed with the installers, so a big thumbs up to them! Also love that the gates have a keyed lock on them. Will highly recommend your company. Tom from Acreage Fences was great to work with. They did a great job. We have received many compliments on our fence. Had an estimate 5 years ago. Acreage Fences continued to follow up on yearly on our status without being pushy. Excellent service, excellent quality. Recommended to my neighbor. I love my new rail fence. I was concerned about the strength but it is fine. My horses even look better. LOL. Very pleased with the staff and quality of work especially considering the weather they worked in! We love our fence. Excellent dealer! Very pleased from the sale to installation. Tom & Clem were very pleasant to work! I feel they went above and beyond to get my fence in earlier than predicted. I felt the company had great customer service and paid attention to our needs and truly listened. I would recommend Acreage Fences and the product anytime. Thanks for the great work! Let us help you create your masterpiece that holds its beauty for a lifetime! Use our Instant Online Estimator to get started! Find your property, draw your fence, and get your estimate!